Painting can be a tedious task, many people would agree that despite the use of a roller, brush or sprayer there is no easy way you can paint your house’s exterior. Through painting, you can transform your home interiors in a matter of hours. Whole house painting needs to be handled in the most professional manner. Knowledge of how to use a paint sprayer will come in very handy. A paint sprayer helps you to coat a large surface with a protective coating, quickly and in an even manner. It works perfectly on different surfaces. Using a sprayer to paint your house may be more comfortable than using other options in most cases. 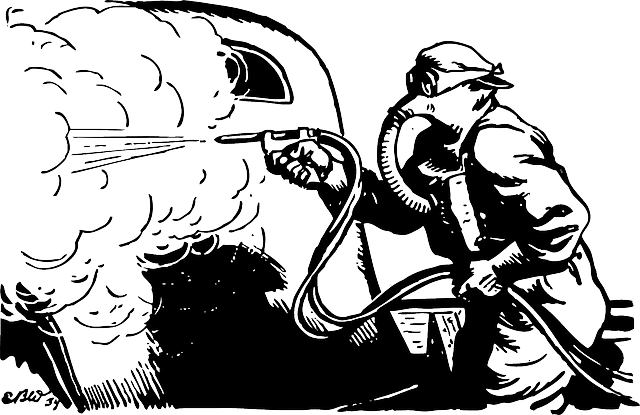 While painting, paint fumes can fill the air which may be dangerous to your health. This is perhaps the most important thing of note since it concerns your health. Besides, that small drops from paints can also affect your clothes and the nearby immovable items that do not require painting. Therefore you have to try every possible way to avoid exposure to paint by wearing an apron or dirty clothes. For the face, you can wear face masks that are designed specifically for painting. Wear it to cover your eyes, mouth, and for your hands, you can put on gloves. For the furniture, you can cover them up with old clothes to avoid dripping paint. The importance of this step cannot be overemphasized when learning how to use a paint sprayer. You need to stir the paint until well mixed just like you would if using a roller or brush. But you will also need to filter the paint through a strainer to remove any chunks; the chunks can get into the tip of the paint sprayer bottle and block it. Clogs are an issue when it comes to spray painting, and most of them could be avoided by straining the paint ahead of time. A painter should do some practices, whether a trained one or an amateur, a little practice before using spray paint is allowed. It will be annoying when you find out you have sprayed a wrong pattern on your favorite furniture or wall. Therefore before you proceed, you can take old cardboard and practice on it first. It will make your painting perfect and will also enable you to be sure about the functionality of your paint sprayer. This also helps you to get familiar with the paint sprayer. Therefore, you will be aware of how it works. It will help you learn how to use a paint sprayer. Another essential hint on how to use a paint sprayer is that you have to adjust your setting before your painting, and this is determined by what you are planning to paint and how you want to do the art. You can change the nozzle setting to achieve appropriateness. For example, you want to paint a small surface you will need a beautiful setting. Maintaining one pattern is also crucial while depicting and in the process, you have to keep the sprayer moving. The best proximity of the nozzle to the wall would be 6-12 inches for you to get the best result. You might be wondering what weather has anything to do with how you use a paint sprayer. Weather condition matters a lot when it comes to painting whether you are painting indoors or outdoors if the weather is not conducive to your picture may be affected. 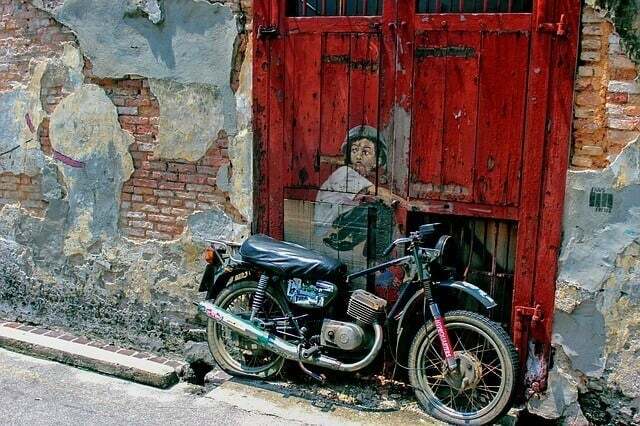 Most of the time a paint adheres to the well being painted depends on the weather condition at that particular time. The best time to spray paint is when the weather is around 45 degree to 75 degrees. Therefore you have to consider this unless you want to keep painting for the rest of your life. This is how to use a paint sprayer. You first start painting walls in the corners, leave the broader areas for later. Start spraying vertically in the corner and use faster pace than usual to avoid thicker layer on edge. Spray for around and step back and check your task. Fix any missed parts of the wall or places the paint is too light. As a general rule of the thumb, it's always easier to darken the light sports that to fix the heavier ones. After you are done with the corners, work your way to the middle of the wall and complete the job. When you complete a paint project, you may be asking yourself how long does spray paint take to dry? Most of the time, the hardest part of any makeover is waiting for the paint to dry. After you have spent time and elbow grease to a great project, it is difficult to stay patient without touching it or before putting the item into use. It all depends on the knowledge on how to use a paint sprayer. If you are using an oil paint-based paint, you should expect it to dry after 6-8 hours and recoat in 24 hours. Latex paint dries to the touch in just an hour, and you can recoat in 4 hours. Usually, metal surfaces dry faster and sometimes slower depending on the environment. If the weather condition is hot, and humidity is less, while drying is faster on metal surfaces, concrete and brick surfaces dry faster compared to wood because of absorption of paints on the surface. The thickness of most colors is controlled with mixing with thinners and solvents. Air-assisted spray consisted is usually lower than using a brush for, roller coating a higher consistency is preferred than brushing. Drying takes place due to evaporation of volatile solvents, a thin film or outer layer is formed which can be broken easily and sticks to any object that is touching the surface. At hard dry, the paint may be dry, but you can't apply pressure on it. You may end up leaving your fingerprints on the color. Every type of spray paint got different formulas that differ by color. Therefore, the amount of time it will require for it to dry varies between different colors of paint. If you are going to do a complete project by using spray paints of different colors, it is better to go with the same company so you can complete your project using one type of paint. This will help to eliminate the differences in dry time that you may come across by using paints made by other brands. You are advised to stay on the safe side when completing home improvement spray paint project because if you make one wrong estimation in the dry time, the whole plan will be ruined. 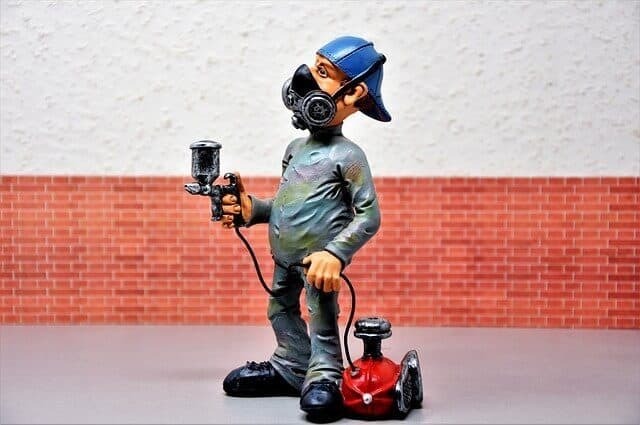 Before starting your project, you have to take a look at the back of the spray paint so you can find out what the company says about dry time on the color. If it means that you should give the paint three hours of dry time per coat you should add one more hour to play it on the safe side. Most spray paint projects will be different, but a typical type of spray may take about 2-3 hours to dry completely. A lighter coat takes less time to dry, while a heavier coat takes more time. The maximum amount of time one spray paint of coat should take to dry is three hours. Find a suitable place to perform your task; you need a place with good lighting, minimal dust, electricity, ventilation and a lot of room to work around the vehicle. Residential garages are not suitable since they have water heaters and furnaces that may cause ignition of paint fumes. Gather all the materials needed to do the task such as paint, painting equipment, sanding and polishing tools, and safety equipment. Remove dust and repair dents if there is any. Remove any plastic or chrome which can be taken off quickly and any time. Most of the panel moldings that are used on cars can be removed and be placed back rapidly, but if you fail to remove them do not force it. Use masking tape to protect the surfaces that shouldn’t be painted. Such as window trim, glass, door handles, grills, and mirrors. Check if there holes in the masking tape and paper, because they may allow overspray to get through. The first step is to prime the surface with corrosion resistant, and a self-etching primer but only if you have removed all the paint down to bare metal. Top any surface you removed dust from, or you used body filler on. Allow the primer to cure, check the information written on the can. Primer curing time differs, and other primers need to be recoated after a certain period when the application is already made. Sand all primed surfaces smooth, use a dry paper to smooth the paint drips flat to the surface. You have to be careful that you don’t sand too far and end up exposing the metal again. Clean the surface after you are done priming to remove any dust that I will be accumulated during priming. Spray the finish paint on the car, read the manufacturers instructions then prepare the color for spraying. Make sure the paint is thinned correctly, avoid over-thinning because it will decrease the gloss of the finished surface and can cause runs. Allow the paint to cure, if you use a catalyst your paint should be dry to touch in less than 24 hrs. During the interval between beginning and tack free time the car must remain free of dust. Use a rubbing compound to polish the paint to bring out a gloss. 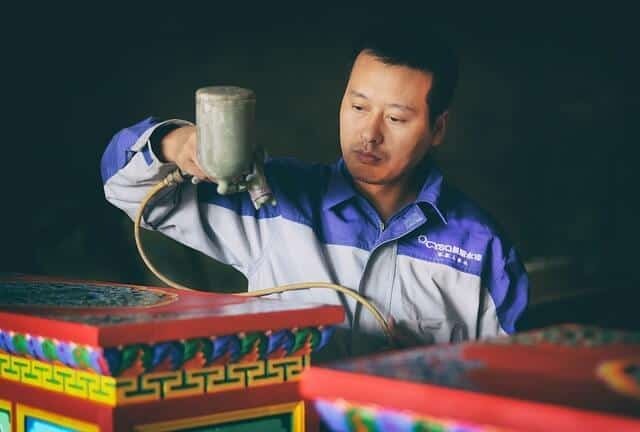 This can quickly be done by hand if there are buffing machines, and power polishers are available just use them since they make it much more comfortable. Clean the surface of the metal you want to paint, Remove dust or any other particles. Clean the surface with mineral spirits, so s to get rid of dirt and grime. Also, clean the entire surface then allow it to dry. Metal surfaces catch rust easily, next thing to do is removing all the dust from the metal surfaces. If the rust is plenty you can use rust removal chemical, if the rust is manageable but heavy you can use a sander or grinder. For light rust, you can use sandpaper. Take off any loose paints, the rust removing process may remove the free paint, but you can also use a scraper, wire brush and putty knife to remove the rest of it. Do not forget to wear goggles, gloves and face masks while doing the task. Sant the metal surface; Your metal surface has to be smooth for the for the spray paint to give better results. Take a damp cloth and remove the debris that is accumulated during the sanding process. Begin sanding the surface using 120-grit sandpaper and focus mostly on the ridges or bumps. Use 200-grit sandpaper to wind up the sanding. Choose a location, select an area that is ventilated. Do not choose an area that is close to a car or anything that could get spray on it. A location for this task should be outdoors, and away from wind, you should also avoid humid conditions because humidity may affect your metal when it comes to drying. 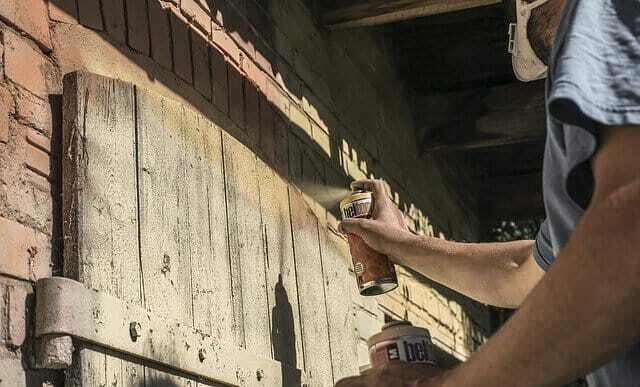 Protecting the surfaces that you don’t spray paint is a valuable lesson on how to use a paint sprayer. Try using damp clothes or garbage bags. Furniture and other surfaces should be places far from the painting areas. Cover parts of the metal surfaces that shouldn’t get paint on by using a masking tape Grab your safety equipment and get ready to start your task. Prime the metal surface with spray on primer, A primer helps you to have a final paint task smooth and even. You can use a spray primer that you desire as long as it is made for metals. Paint the entire surface and let it dry for at least 10 minutes. Spray on another coat of primer if the metal looks evenly coated. Hold your paint 12 inches away from the metal surface. Do not get too close to the surface because it causes drips and runs, and if you paint too far from the surface it may result in uneven spraying. Paint with a sweeping motion; The sweeping motion should be from side to side or from top to bottom. Apply a thin coat while avoiding drips and runs. Let your painted metal surface to dry for an hour, Avoid touching the paint to see if it is dry already. Spray the second coat after the initial coat dries up. You can repeat the process for two more times. Let the second coat dry. Check on any mistakes and correct them. Sand the surface after the item dries up. You can use a finger grip sandpaper to sand the entire surface lightly. Wipe the surface using a microfiber or a damp cloth. It will help to remove dirt and plastic particles from sanding. Debris on the surface of the plastic will bring uneven results. Do the spray painting outdoors where there is a flow of air because spray paint is dangerous to inhale. Take your safety equipment such as goggles, masks, and gloves and get ready to start painting. Apply a coat of paint, shake the can to mix the paint and start painting. As you spray, swipe back and forth to apply a thin layer and coat the surface evenly. Let the coat dry for at least 3o minutes. Let the paint cure and your task is done, and those are the simple steps on how to spray paint plastic. It is so familiar to spray paint furniture since you can now buy a wide variety of spray paints. You need to learn how to use a paint sprayer to paint furniture the right way. Spray paints are not available in a wide variety of of-of colors or textures, but they are made to cover a variety of materials. Choose the spray paint you will use; You have to make sure it is the right type of shower for that furniture you want to paint. You can decide to choose a special spray paint for the outdoor furniture. Pick a color and texture that you prefer, check on the can to see how much of a paint you will need for the whole furniture. Wash your furniture thoroughly using water and soap if needed; the piece of furniture you want to paint should be clean entirely before you start spray painting it. Rub the furniture using a piece of sandpaper or wire brush to remove any rust or any loose paints. If the furniture is unfinished, you should complete the step to remove the splinters. Using sandpaper on any surface, it will make it rough therefore the paint will stick on the surface quickly. Check to be sure that the furniture is dry before you start painting. After you are done with cleaning and sanding, you have to make sure the furniture has time to dry, or the paint might not stick. You can use a screwdriver to remove doorknobs, hinges and other removable parts. Cover any part of the furniture that you do not want to paint such as mirrors by using painters tape and newspapers. Place the furniture in a well-ventilated area, outdoors should be preferable. You can put something underneath the furniture such as a newspaper or plastic to protect the ground. Shake the can before you beginning to spray and several times when you are spraying. Spray with smooth strokes thoroughly the furniture. Keep the can moving to prevent applying much paint on one spot. Give the paint 1 hour to dry then you can applying the second coat. 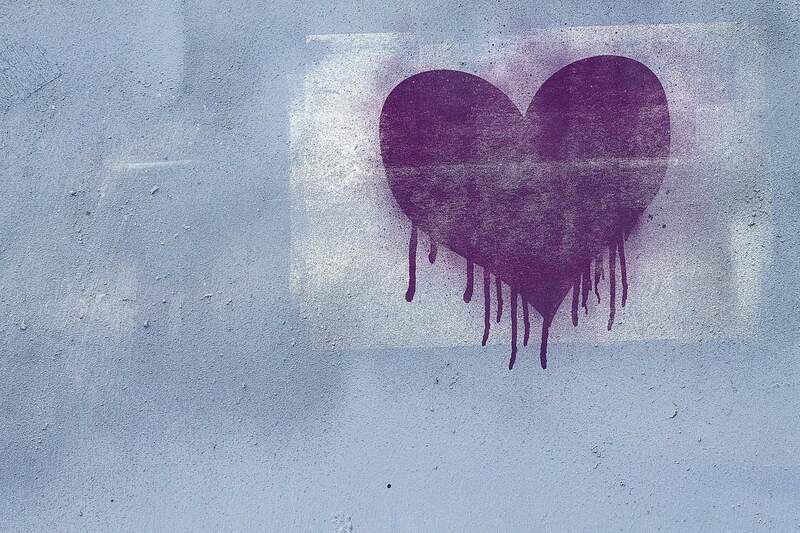 You should check the spray paint can to check its drying time. Hold the can for one foot away from the furniture you are spraying. If you get too close to the surface, you may cause the paint to run. Allow the furniture to dry for a few hours before placing it in new hope. Use a primer to make your paint last longer; introduction promotes topcoat paint adhesion; this means it helps paint to stick surface properly. Spray paint will not stick on a slick surface. Spray painting is a great way to decorate, bring a new life to items, and a way to spruce up older items. You can spray paint metals, plastics, cars and a lot of things since there are spray paints for everything. The only important thing to do is make sure you clean and sand the item before you paint it. Otherwise, the paint may not be even. You also need to know how to use a paint a paint sprayer to paint evenly.